Swathes of the seas around England, Wales and Northern Ireland could become protected areas to help harbour porpoises. A consultation has been launched on designating five possible Special Areas of Conservation (SACs) in areas which are important to the smallest marine mammal in UK wat ers. The potential sites cover areas off the Northern Irish and Welsh coast, the Bristol Channel and the North Sea, extending across large sections of sea to protect the highly mobile harbour porpoises. In total, the five areas identified in a process by the Joint Nature Conservation Committee (JNCC) and the UK's Statutory Nature Conservation Bodies (SNCBs) would cover 55,039 square kilometres (21,250 square miles). 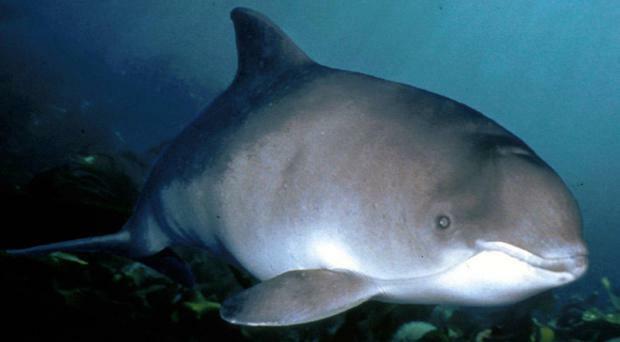 Harbour porpoises are found in all UK waters, but due to pressures on them such as being caught as accidental "by-catch" in fisheries, they are assessed as being under threat or in decline in the Greater North Sea and Celtic Sea. Paul Rose, marine director at the JNCC, said: "The evidence used to identify the five sites comes from a wide variety of sources dating back to 1994. "This data provides a robust background to the consultation and I am delighted to see it being used so innovatively and am grateful to all who collected it and permitted its use." Members of the public, marine industries and organisations are being invited to submit responses to the consultation, and then a report will be submitted for governmental decision on the sites. If it is decided they are suitable for designation, they will then be considered further by the European Commission. Joan Edwards, head of Living Seas at The Wildlife Trusts, said: "We welcome this consultation on new protected sites for harbour porpoise, the most numerous cetacean in our waters. "We are pleased to see that, for the first time in England and Wales, this enigmatic species will have site-based protection." Catherine Weller, wildlife lawyer at environmental law firm ClientEarth, said: "These new protected areas are a step in the right direction for the harbour porpoise. "We need to ensure that the areas designated are those that will offer the highest benefit to the harbour porpoise and that when designated, these sites are managed effectively." But she said: "It's disappointing that the Scottish government has stalled its consultation regarding at least three further areas, reducing the potential for comprehensive protection for the harbour porpoise in UK waters." Potential SACs around the UK were identified by government conservation advisers using data about harbour porpoises from the last 18 years. The consultation comes after the European Commission threatened legal action against the UK Government in 2014 for failing to designate protection areas for harbour porpoises under EU laws. Pine Eisfeld-Pierantonio, Whale and Dolphin Conservation's conservation and policy officer, said: "WDC greatly regrets the decision by the Scottish government, which seriously undermines the whole UK process and the achievement of an ecologically coherent network of marine protected areas. 'WDC congratulates Defra (the Environment Department) for finally taking this positive step, which is only dampened by Scotland's decision to delay."